Yes, I did it, I really did it! 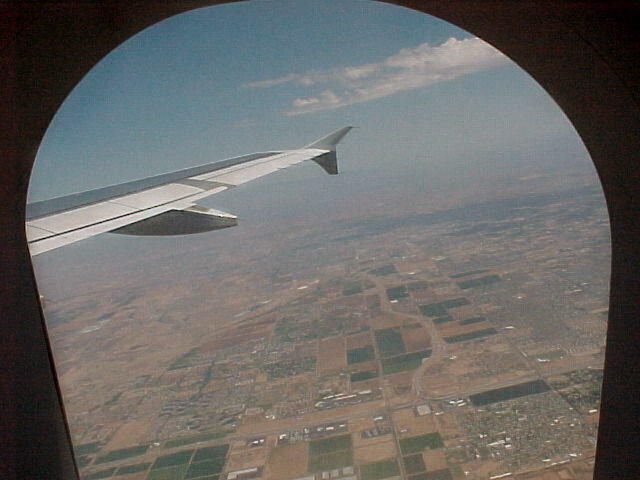 I got on a plane and got out of Yuma! 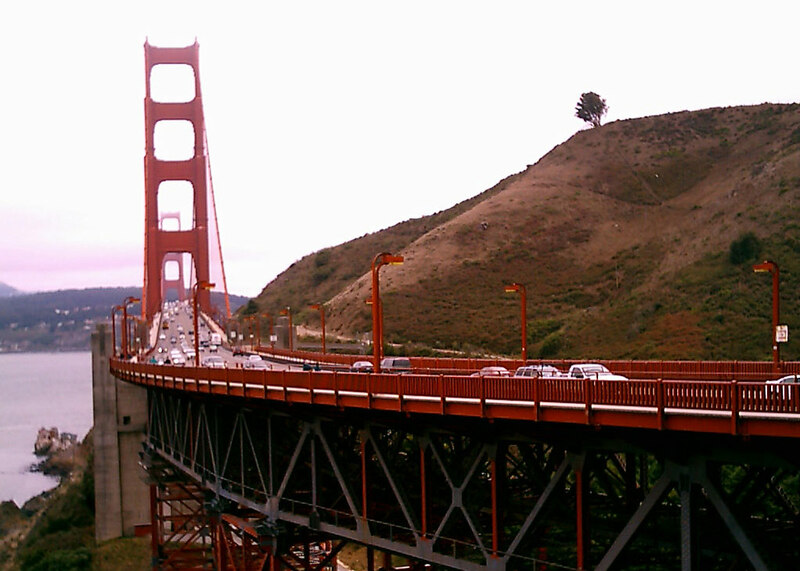 For four and a half days, I experienced something different! 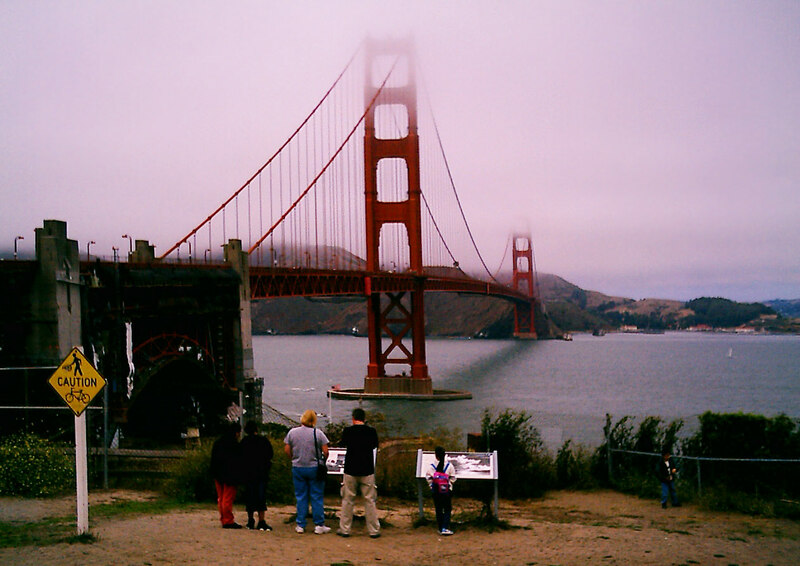 I just have a few pictures of the sights in San Francisco to share today. 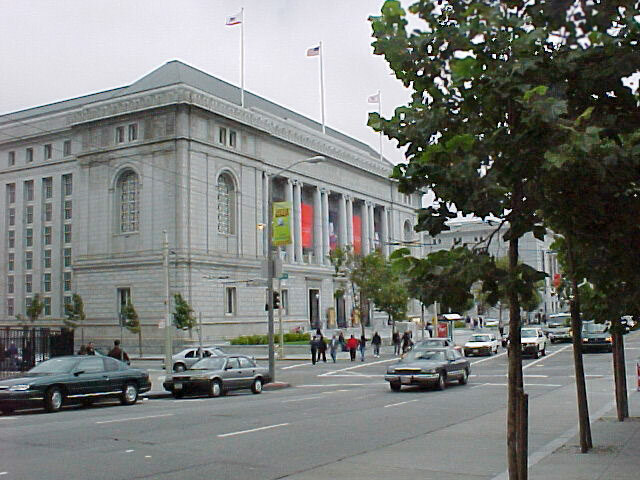 There are several more of the fabulous Asian art museum treasures, but those will wait for another day. The bridge pictures were taken with the little camera. The color balances came out odd, even though I've done my best to adjust them. Getting my thumb too close to the tiny camera eye didn't help, either. 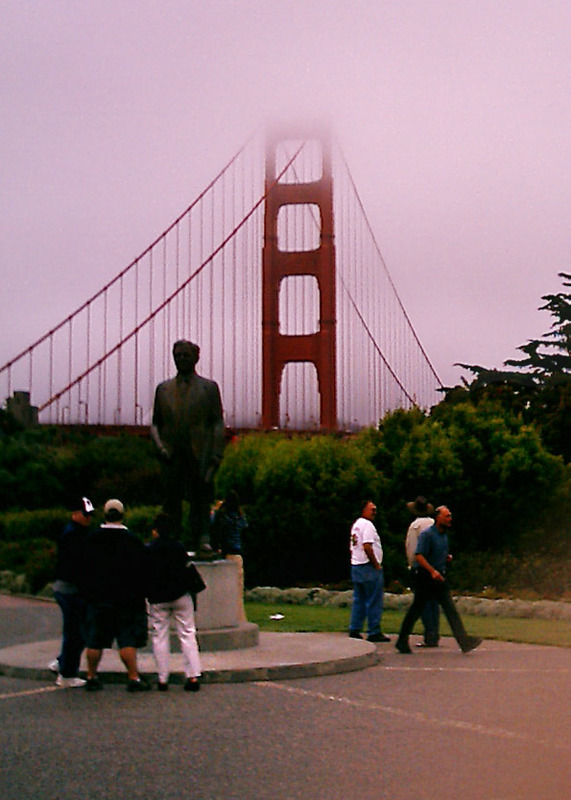 Although the San Francisco skies are usually gray, the sky was NOT that purple in the afternoon. Nor was the sky as bleached out as this picture shows. Somewhere in between those ranges is the more accurate perception. I was able to walk to many of the necessary places. 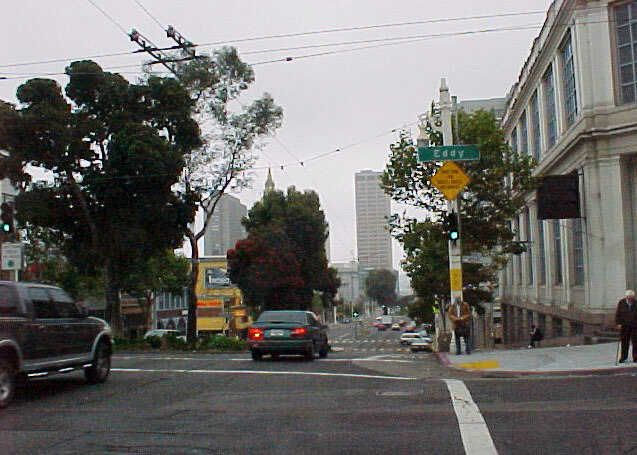 While doing so, I could absorb the ambiance of the city. There is a sense of amazing diversity. It's easy to understand how it became the birthplace of so many movements, from the beat poets, Stonewall uprising and other liberating avenues of thought. Many of the buildings are beautiful. Extra care went into those details. 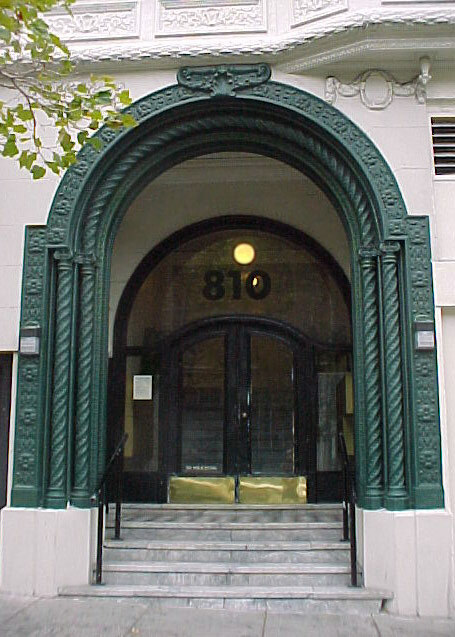 Many doors featured such elegant treatments. I, however, did not take a picture of the one with a bum trying to curl up in its corner. Yuma, too, is not immune to such problems. The hotel desk clerk showed me how easy it was to walk to the museum. He said it used to be the city library, until the library was moved elsewhere. 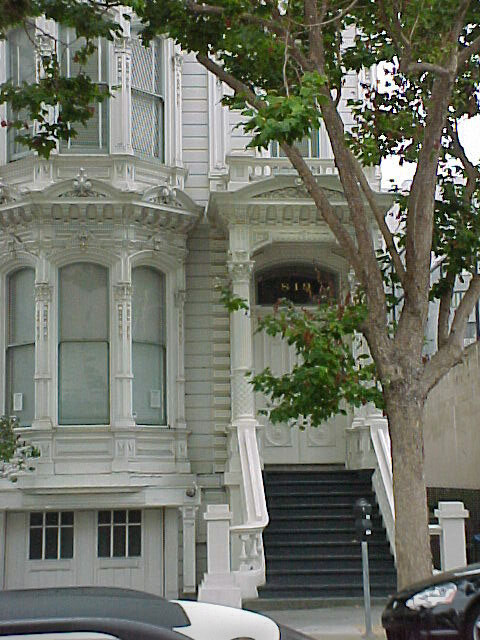 The visitor is directed to go to the third floor first and work their way down. The museum starts out on the third floor with the arts of South Asia, Southeast Asia, and the Himalayas and the Tibetan Buddhist World. Then on the second floor, the visitor sees Chinese, Korean and lastly Japanese art. The first floor is for travelling exhibitions, the museum store and the cafeteria. Tomorrow, I will sort through the pictures of the museum treasures. Nagaraja, Serpent King, India, Mathua area, Uttar Pradesh state, sandstone. Nagas are supernatural serpents who have partial or complete human form. 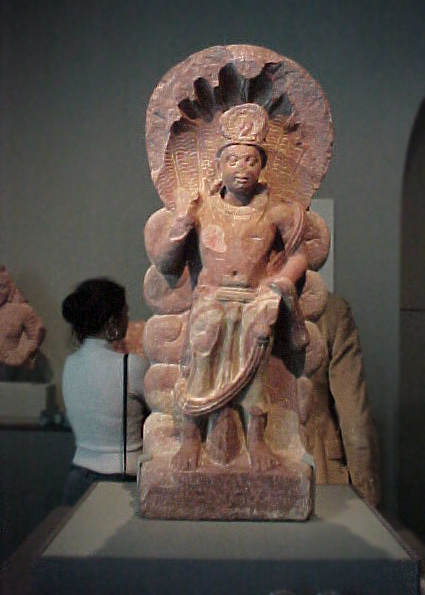 In the Naga King sculpture, the man and the seven headed serpent are two forms of the same being. Nagas are associated with fertility and the life giving powers of water in the worlds rivers, lakes and oceans. They are usually benevolent. 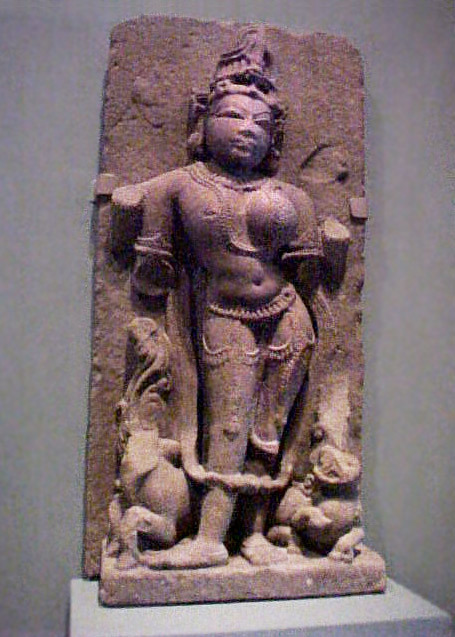 Shapely Parvati, wife of Shiva, (from India). 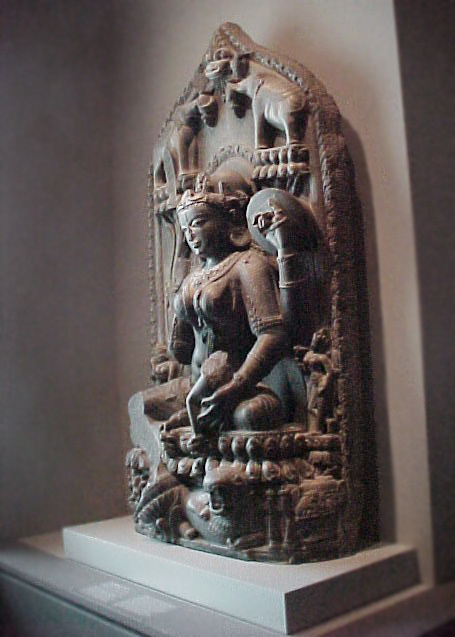 Shiva and Parvati combined as Ardhanarishvara, from India, Uttar Pradesh state. 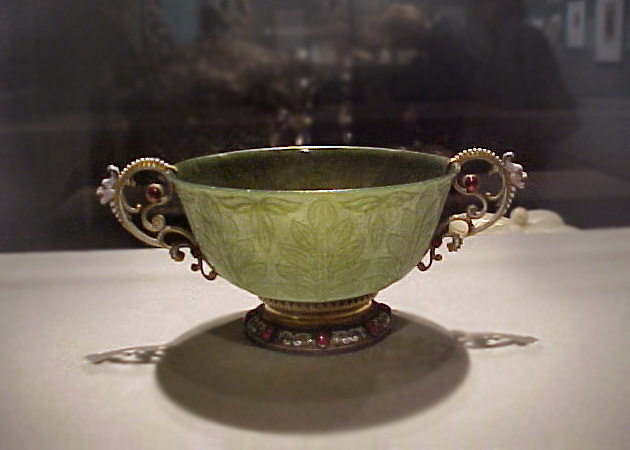 Cup with 19th century French fittings, N. India or Pakistan. Nephrite, enamel gilt silver and garnets. This is of the Mughal jade which features thin delicately carved walls. 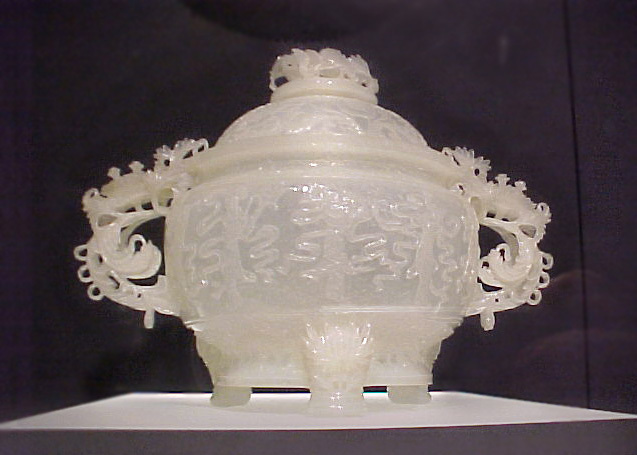 Nephrite open work incense burner, 1900-1949, China? 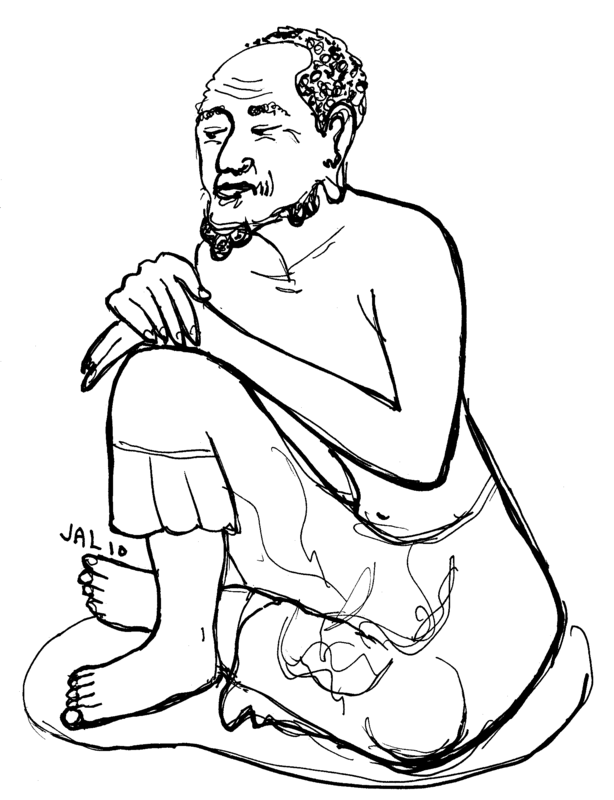 Seated Lama, 1400-1500, Central Tibet. 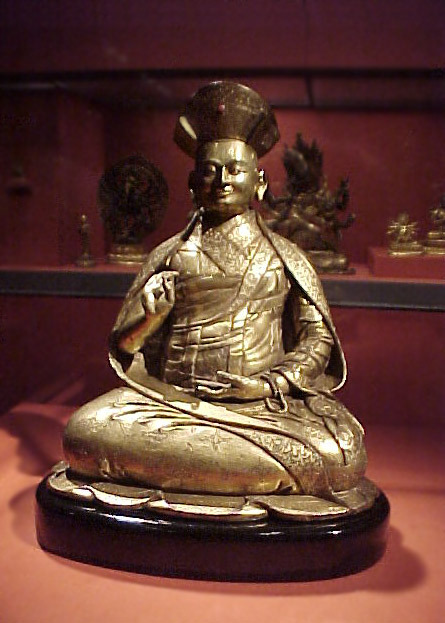 Gilded copper, it is a portrait of a real Lama, though clues are lost as to just which one. 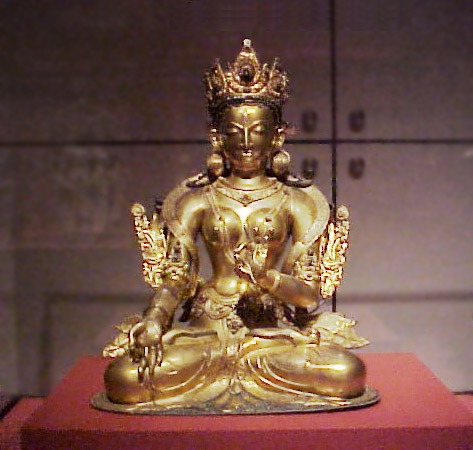 This is "the Buddha Shakyamuni as an ascetic", in gilt bronze from China. 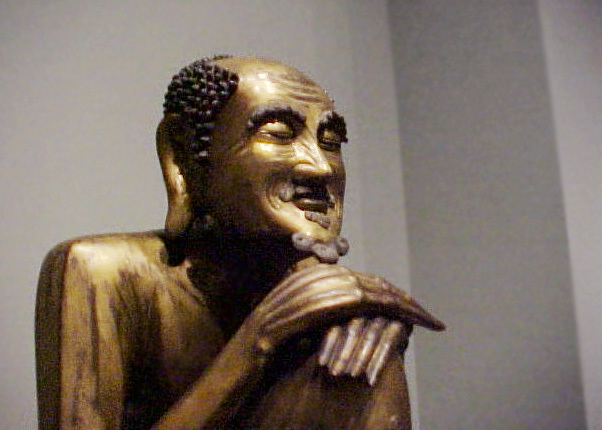 But it had to have been based on a real monk, for he has such personality in his face. Perhaps my drawings and photo will have you curious to see this piece in person! 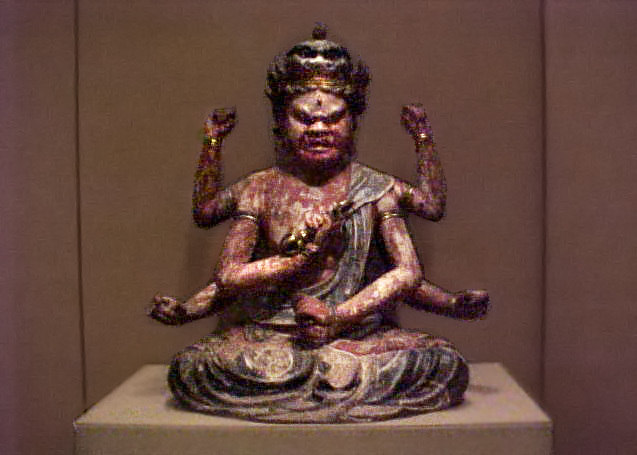 Buddist King of passion, Ragaraja, Aizen Myoo in Japanese. This ragaraja believes human passion will lead to enlightenment. 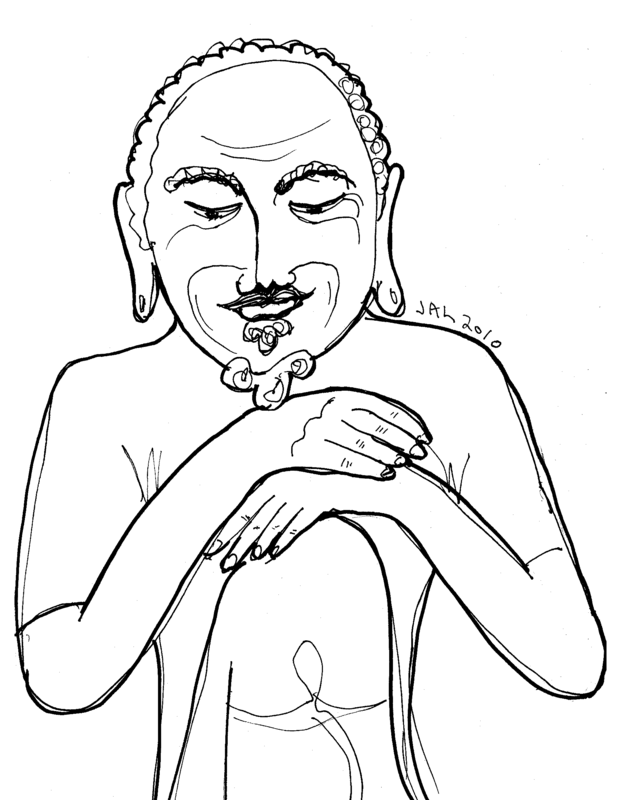 He is holding the dorje, or thunderbolt, in his hand. 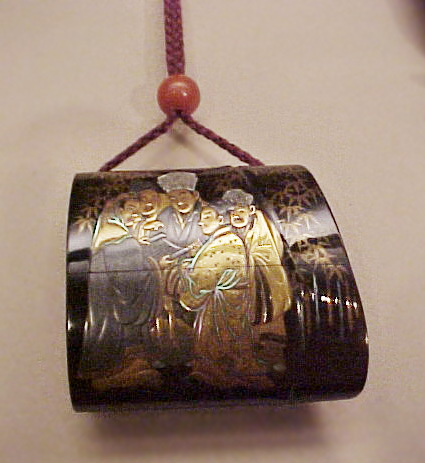 This and other pendents were included in a display of tiny Netsuke, statues no bigger than a finger knuckle. Standing Prostitute, Baiyuken Katsunobu, 1716-1735. The artist used the 'S' curve posture to connote femininity. 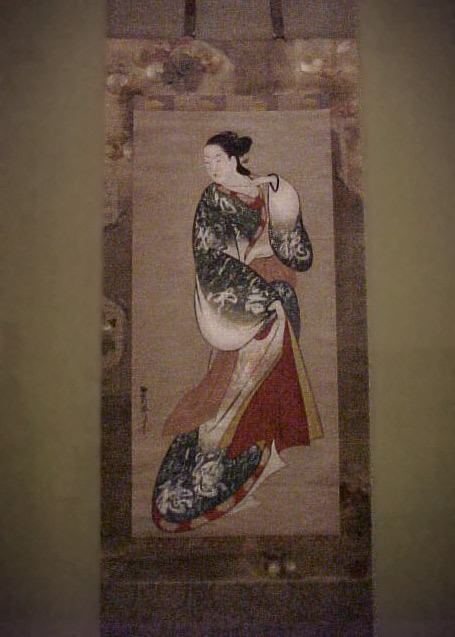 Feminine though his subject be, this hanging scroll is labeled 'Standing Prostitute' to distinguish it from portraits of Geishas. A misconception occurred in Western culture when images of courtesans, aka 'prostitutes' were falsely described as Geishas. In contrast, a great deal of training goes into the making of a Geisha, literally 'persons of art'.